one place all the time? 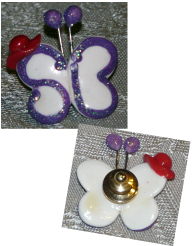 Never lose your pins or forget to put them on again! For all your RHS needs, Jewelry, Hats, Accessories, anything you can think of they have. Great prices. Her size selection ranges from Small to XXL. Sparkle, Bling, Glitter & Shine with Sequin and Beaded tops , dresses and skirts. 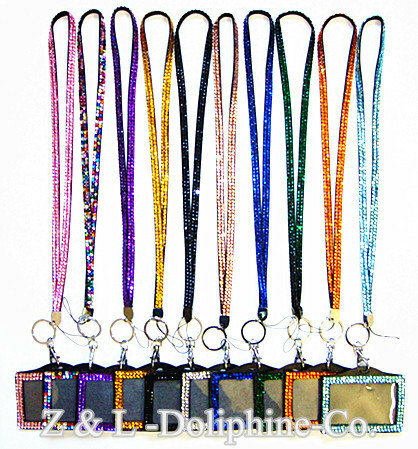 They also carry Accessories and Gift items. Their inventory is always changing. Once you see us you won't forget us. Exciting ~~~ Fabulous ~~~ Amazing ! 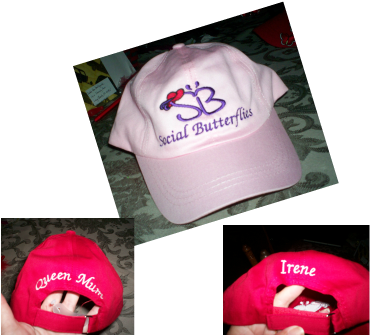 An Official Red Hat Society Store. 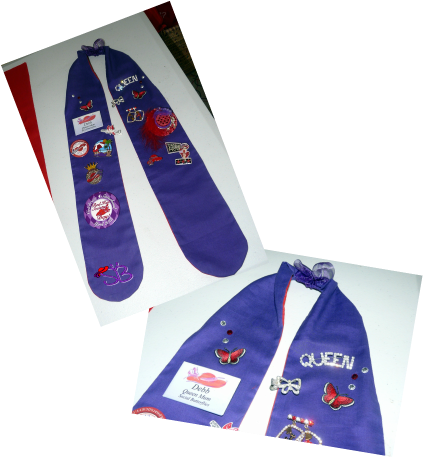 Front and magnetic back $9.40 each Please note that an order must be for at least "3" badges in order to get it at this price. Men's style T-shirt, true to size, 100% cotton Purple, Red or Lavender - $18- $35 + S&H [depending on size] We get our red & purple t-shirts from www.Uberprints.com and our lavender t-shirts from www.logosportswear.com . 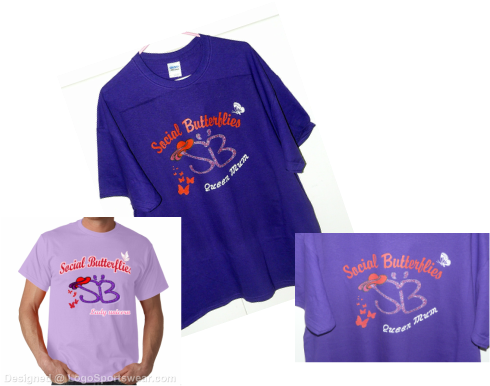 Please note that larger sizes and the lavender t-shirts cost a bit higher. "Game Time" event. It takes about 1 1/2 weeks to receive. 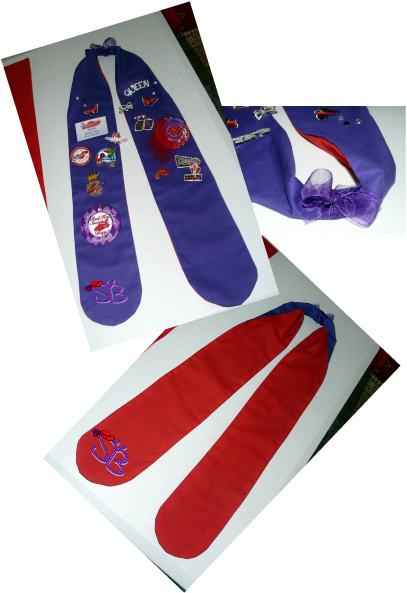 This is the purple one- red -Lavender -and the girls version has to be ordered in packs of "6" Lavender for "Pink Hatters." 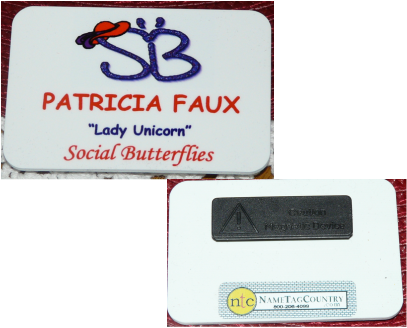 There is no extra charge for your name or your "Royal" name. The back is blank. $20-$25.00 + S&H for members. 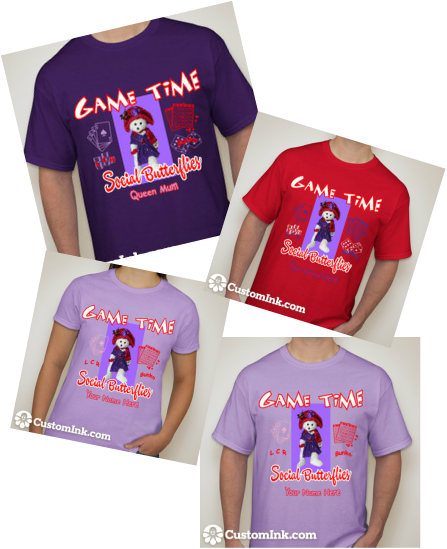 "Game Time" t-shirts are ordered @ CustomInk. 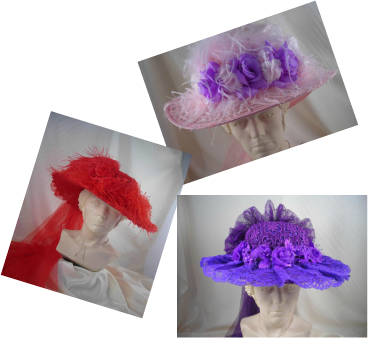 Need a New Fabulous Hat? 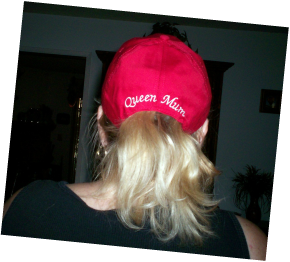 "Pink Hats" "Red Hats" & Purple Hats"
My Red Hat Store has a wide variety of red hat items. Lots of hats, bags, and BLING! Is your hat too BIG? Or slips around on your head?